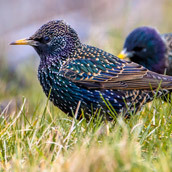 Pest birds are a frequent problem in the Fife, Perth and Kinross-shire areas. 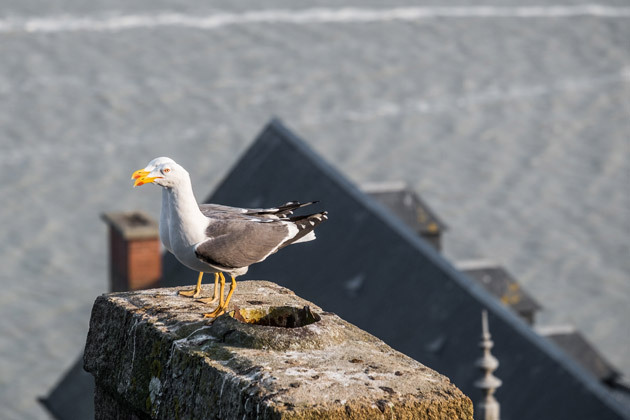 At Active Pest Solutions we have 15 years’ experience of bird proofing and dealing with birds which are causing damage or a nuisance at domestic and commercial premises. We have the knowledge, the skills and the equipment required to undertake legal, effective bird control measures for a wide range of different bird species. Our specialist pest controller will remove or prevent problem birds from nesting or roosting, using safe but effective techniques that comply with current legal regulations. As members of the Fife Trusted Trader Scheme and Perth and Kinross Better Business Partnership, our working practices, pest control qualifications, customer service and integrity have been checked and approved by Trading Standards officials, so you know we’ll deliver bird control you can trust. So which birds are recognised by law as ‘pests’? All birds are protected under the Wildlife and Countryside Act 1981; however, licences do exist which permit the control of some species. The slight problem with this is that these licences can change from year to year, so using a professional pest control technician will help ensure you remain on the correct side of the law when dealing with nuisance birds. Generally, the main avian species that we see causing issues for households and businesses include feral pigeons, gulls, sparrows, starlings, and crows (including jackdaws, rooks, and carrion crows). Other potential trouble-makers include house martins, wood pigeons and collared doves. Birds feeding on or contaminating stored products (with droppings). Flies, bird mites, fleas and moths – are often associated with birds’ nests and droppings. Droppings on buildings, causing corrosion or damage. Fouling of food paths, making them slippery and thus causing a safety hazard. Noise pollution leading to distraction and interruption for office workers – or sleepless nights for householders. Diseases spread through bird droppings (such as cryptococcosis, histoplasmosis and psittacosis) can be harmful to humans. Thanks to our many years of bird control experience, we can deal effectively with all the above problems – and many others – caused by unwanted birds. When you call upon our professional pest control services, we will first assess the scale and nature of the problem and then select the most effective bird control solution for your individual circumstances. This will depend on the species of the pest birds involved and the precise nature of the problems that the birds are causing at your property. There may be other methods which we could suggest when assessing each pest bird situation. If you have a bird pest problem, it pays to call in the professionals straight away. Contact Active Pest Solutions by calling 01577 862035 or sending us an email. We look forward to receiving your call! Free pest control surveys undertaken by a fully qualified pest control expert. Over 15 years of bird pest control experience. Regular bird pest control service visits to protect you and your business.